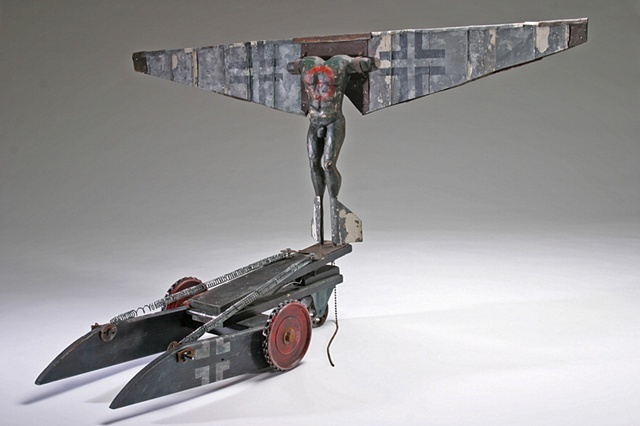 Carved male "angel" figure with metal wings with "balkankreutz" (German Cross) on them. Figure has red target on chest. Piece sits on top of a "flinger" to launch figure up into the air. Figure has no head or arms - no foresight or control. This is my lament about what I think my European relatives may have undergone during the Nazi period - led astray then shot up to be slaughtered. I hate war on all fronts.